The Seahawks QB makes like Houdini, escaping a rush to hit Doug Baldwin for a key 54-yard gain. The defense had a good game shutting down Adrian Peterson. GLENDALE, Ariz. — It was a win that, simply put, came at a heavy cost — the loss for the rest of the season of cornerback Richard Sherman to a ruptured Achilles. Since Seattle has never played a game without Sherman since he came to the team in 2011 — he has started the last 99 regular-season games in a row and has played in 117 overall including playoffs — it’s hard to really know exactly how the Seahawks will look without him. Well, at least there was Russell Wilson. 'This is not OK': Can the NFL fix Thursday Night Football? 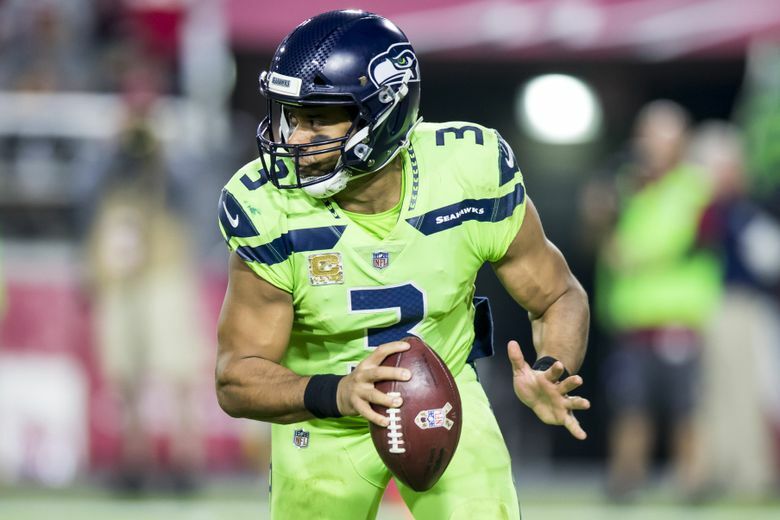 The Seahawks got little done rushing and had little real rhythm to their offense in gaining just 287 yards, the third-lowest total of the season. Seattle was a season-low 3 for 13 on third downs (23 percent) and once again got little out of the running game — 75 yards on 23 carries, with 50 coming on three plays. But the Houdini act that Wilson turned in for a 54-yard pass to Doug Baldwin gave Seattle the TD it needed to secure the game and made this another night when it felt like he was about the only thing saving the offense. That play was one in which Wilson made something out of nothing under pressure. Baldwin had another solid game with five catches on six targets for 95 yards and Jimmy Graham had two touchdowns on a night when he had six catches on nine targets. The line took a hit when veteran left tackle Duane Brown left in the second quarter with a sprained ankle with Matt Tobin filling in the rest of the way. Carroll and Brown each said after the game the injury doesn’t appear serious, though. 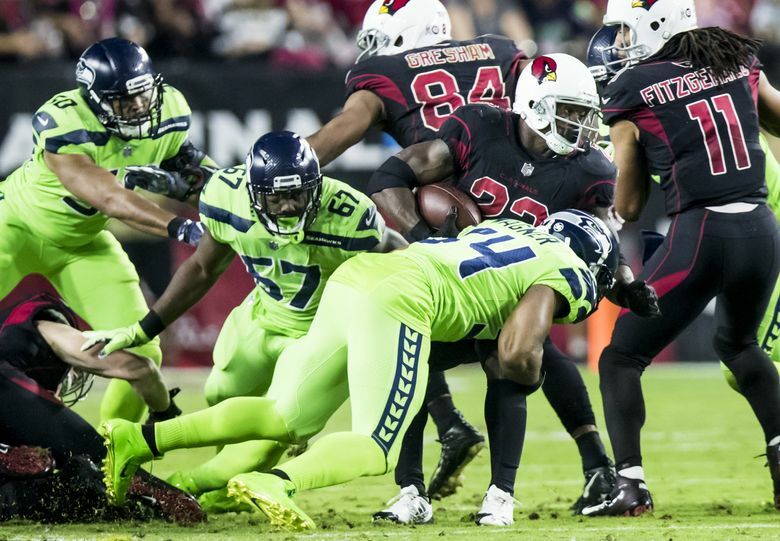 Seattle accomplished job one in this game — stopping Adrian Peterson and making the Cardinals one-dimensional. Peterson had a fumble early in the game and then was tackled for a safety, typifying a night in which he gained just 29 yards on 21 carries and looked like a 32-year old who had carried the ball 37 times five days prior. That left it to Drew Stanton to try to win it for Arizona and the results were predictable as he was off-target a handful of times with Arizona receivers dropping a few others. Kam Chancellor had what Carroll called “a fantastic’’ night stopping the run while Wagner and K.J. Wright — who created the penetration to clear the way for Chancellor’s safety on Peterson — also had their typically strong games. Blair Walsh bounced back from the three misses Sunday against Washington, with two field goals, Jon Ryan pinned Arizona deep on the play that led to the safety, the coverage was solid and Tyler Lockett recovered Arizona’s onside kick in the final seconds.